Bee was recently given the chance to try out Zoomer Zupps Tiny Pups. We were a bit clueless as to what to expect and I must admit when it first arrived I did feel a bit underwhelmed when I saw it. It was small and although interactive I wasn’t entirely sure it was worth the price. It currently retails at £14.99. So what exactly is a Zoomer Zupps Tiny Pup? 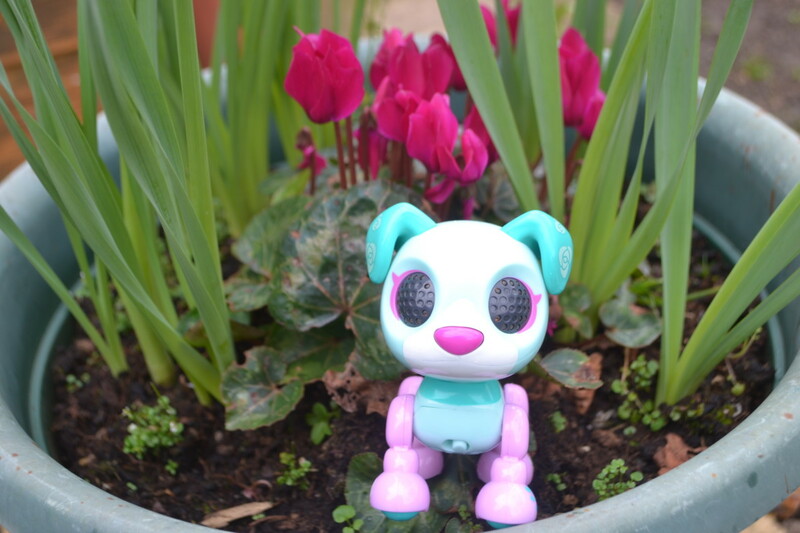 The Zoomer Zupps Tiny Pups are a collection of 6 pups from Spinmaster and come with their own collectors card with their names and a bit of information about them. 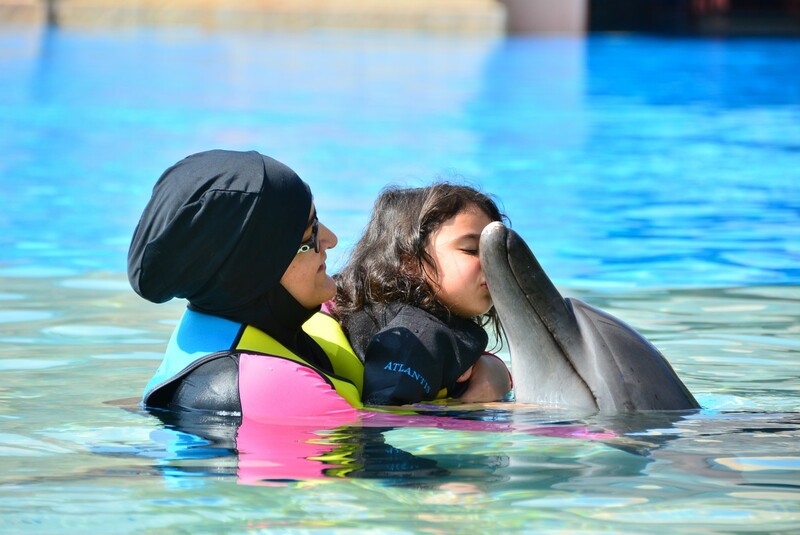 They are interactive and respond to your touch; pressing their nose and petting their head. We were sent a pup named Posy and Bee couldn’t wait to play with her. The pups arrive with batteries so all you have to do is turn the switch on (located just under the chest) and you can start interacting with them immediately. What ways can you interact with the pups? 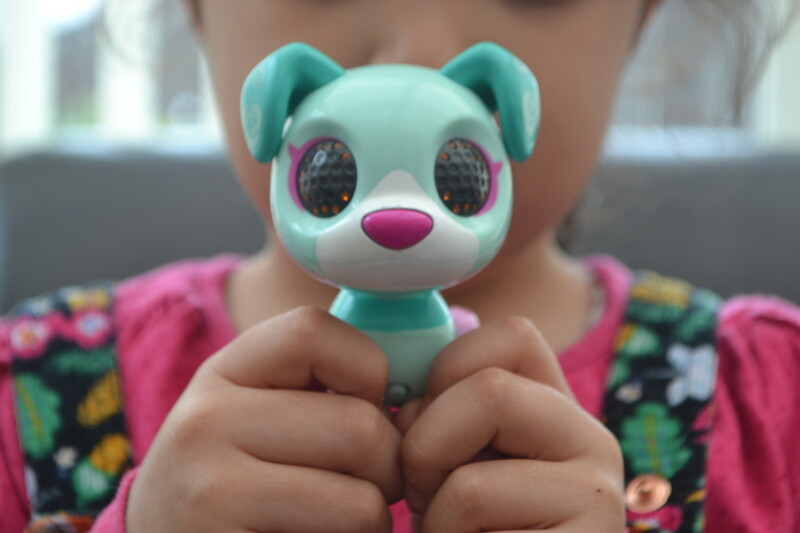 The two ways to interact with Posy is to press her nose or to pet her on her head where there is a sensor. Certain touches make the pups do certain things. For example, press and hold her nose and she will make a kissing sound. I think Bee’s favourite is petting and holding the head which makes her bark ‘I love you’. In addition to this each pup has a secret trick. You have to pet the head and then quickly press the nose twice….but I won’t spoil the surprise by telling you what the trick is! Posy doesn’t just make sounds when you pet her head and press her nose, but can actually play a game with you: Bark Back. 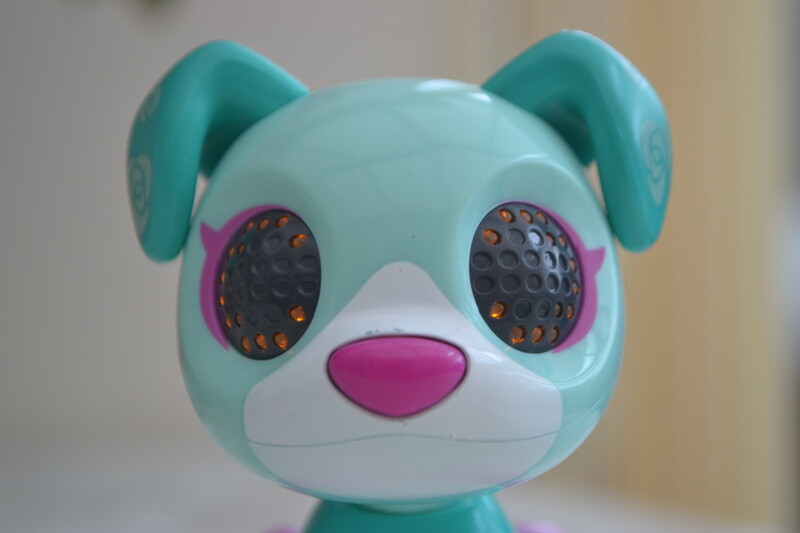 The game involves Posy barking and flashing the lights in her eyes in a pattern which you then have to copy by petting her head. if you get it right three times in a row then you win. 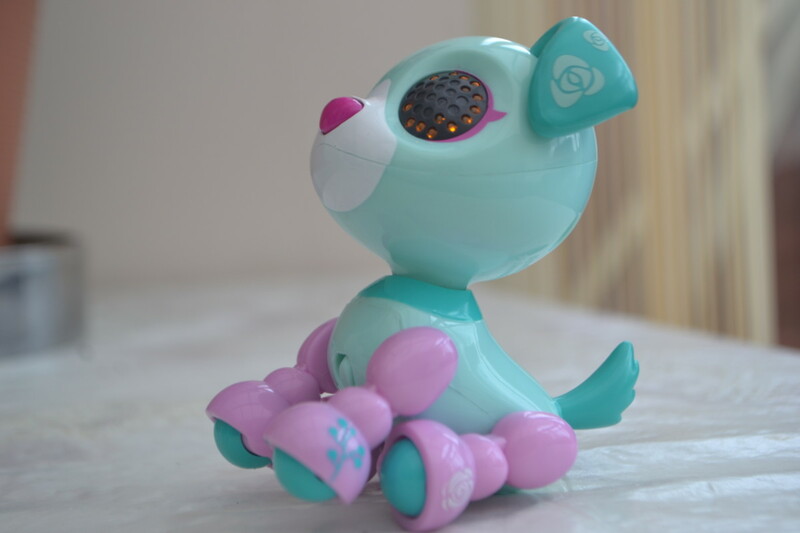 Posy comes with rollers on the bottom of her feet so she can be manually pushed around, and her back legs are flexible so she can be taught to sit. She has also tried to sneak to nursery in Bee’s coat pocket and sleeps with Bee by her bed every night. We certainly have a happy pup as the more you play with her the happier she gets. So she clearly gets a thumbs up from Bee. I have already been asked if we can get the others. It seems that if you have more than one then they will interact with each other. 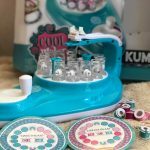 Zoomer Zupps Tiny Pups are recommended for ages 4+. 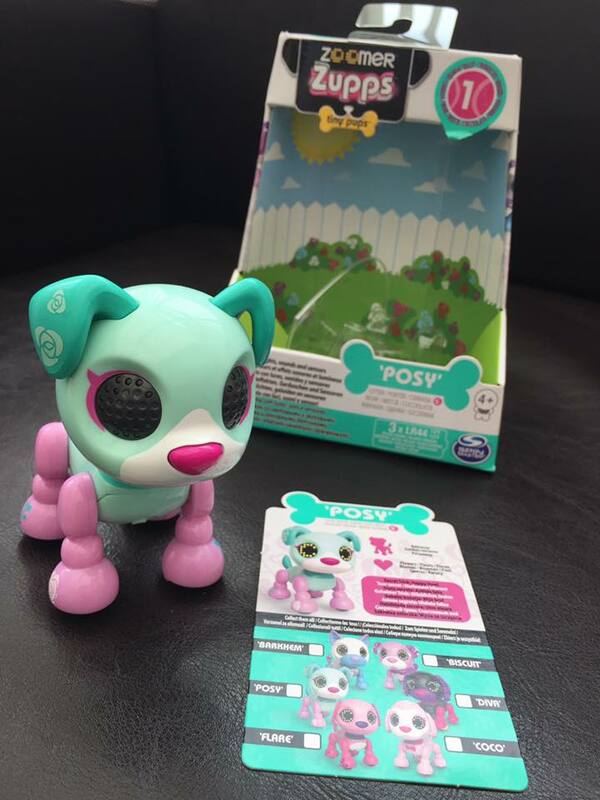 You can purchase Posy from Amazon: Zoomer Zupps – Tiny Pups – Retriever Posy – Litter 1 – Interactive Puppy (affiliate link). Disclosure: We were sent Posy for the purposes of review. However all thoughts and opinions are our own. 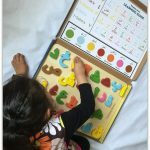 I think my kids would probably like this – they’re fans of anything that interacts with them. This looks a lot of fun and my son would like it (I only wish they hadn’t put pink on it as that would put him off). Erica Price recently posted…What Would Be On Your Mum’s List? What a sweet looking thing – my kids would absolutely LOVE to have one of these, they’re desperate for a pet and would love these! I haven’t seen these before, but they look super cute! !